It was a lovely day, a warm breeze from the east of about F4. 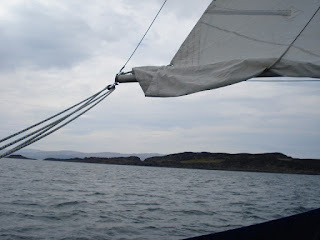 We motored out of the sea lock and then raised the sails and set off at about 4knts. It wasn't long before we were picked up by the tidal race through Dorus Mor which doubled our speed to 8knts. It is difficult to get a good picture of the overfalls, boiling water and whirlpools. The water seems to be moving in all sorts of directions yet the boat just gets carried through at the proverbial 'rate of knots'! The tidal over falls look like a great shoal of fish in a feeding frenzy. Today was calm and fascinating not like the Gulf of Coryvreckan. 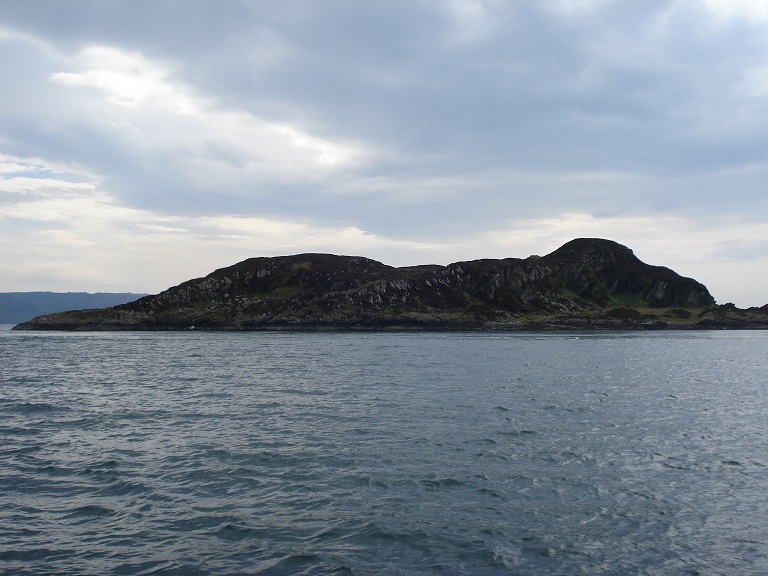 Take a look at this Youtube video of the Oban lifeboat in the famous whirlpool! Our passage was much more peaceful. The wind dropped away for time and we had to motor but it picked up again as we entered Loch Shuna and arrived at Craobh Haven in time for tea and cake. We bought the cake at the lovely coffee shop at Crinan Basin their cakes are to die for! See this link Crinan Coffee Shop. Now sitting in the marina enjoying the sunshine and writing up the blog before tomorrows leg to Dunstaffanage Marina at Oban. Midday start again to catch the tide. An exciting day! Whirlpools - tidal races - whatever next?? I like the look of the Crinan Coffee Shop. Safe sailing tomorrow. 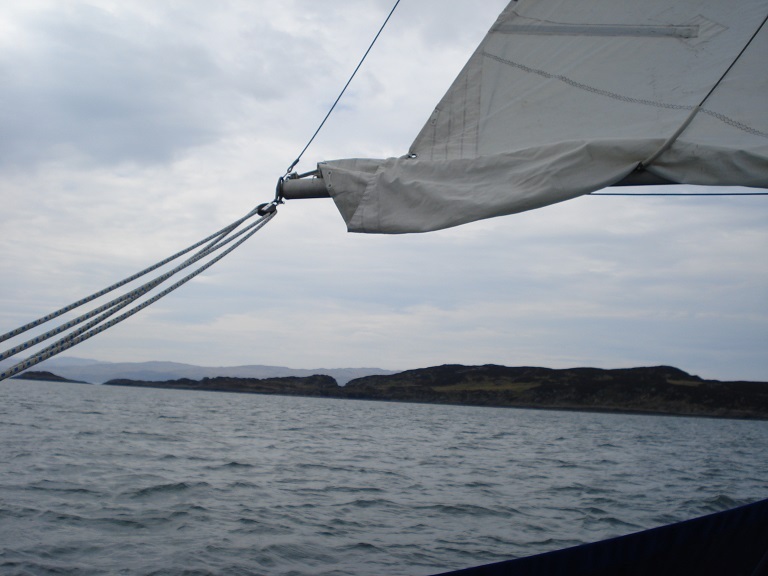 Yes, the sail up to Oban started well but the wind came round to the north east and picked up to a F6 so the last half of the journey was a it rough. We did get passed by the Oban lifeboat, twice! But the didn't hail us.